Katahdin is a programming language where the syntax and semantics are mutable at runtime. It was the 2007 master’s project of Chris Seaton at the University of Bristol Department of Computer Science, under the supervision of Dr Henk Muller. Katahdin employs the theory of parsing expression grammars and packrat parsing. Unlike other contemporary work, Katahdin applies these techniques at runtime to allow the grammar to be modified by a running program. New constructs such as expressions and statements can be defined, or a new language can be implemented from scratch. It is built as an interpreter on the Mono implementation of the .NET framework. In most programming languages you can define new functions and types. In the same way, Katahdin allows you to define new expressions, statements and other language constructs. In Katahdin this is a runtime operation, so immediately after defining ModExpression the modulo operator becomes part of the language in line with all the other operators. You can define a new construct on one line and use it on the next. There are no special constructs in Katahdin that cannot be modified, including white-space and basic tokens. If all of the constructs in a language are defined as above, Katahdin can be turned into an interpreter for that language. In this way, Katahdin can be used as a generic interpreter for any language, or one language can be used from within another by composing the two or more definitions. My implementation includes proof-of-concept language definitions for FORTRAN and Python, which can be composed to write a single program with a mix of the two languages. There are real world scenarios where one would want to use one language from within another. People use SQL from within other languages all the time by writing the SQL in strings. In Katahdin, the definition of SQL can be composed with the main language and used as if it were all part of one language. There are also good examples of why one would want to define new constructs in a running program. For example, Java 1.5 included a new for-each-statement. Programmers wanting to use the statement had to wait for Sun’s implementation to be drafted, implemented, tested and distributed. In Katahdin programmers can create new statements on their own as they need them, without modifying the implementation. If you want a new for-each-statement in your language you can add one in just a minute. My master’s thesis describing the background, theory, implementation and current status of Katahdin. Also published as a technical report at the University of Bristol. A business plan commercialising Katahdin, written for an associated course unit. 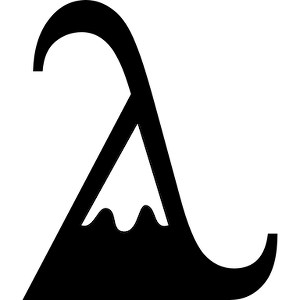 The Katahdin source code is available from GitHub, or as katahdin-0.2.tar.gz. It is available as public domain, or BSD licence if that causes problems for you. Copyright © 2007-2012 Chris Seaton.